» NEPA: Salute to Veterans,11/8/09 Mt. Airy Lodge and Casino Warriors' Watch Riders: WE HAVE YOUR BACKS AT HOME! I can only begin by saying that no kind of report or pictures can ever express the magnitude of this event! 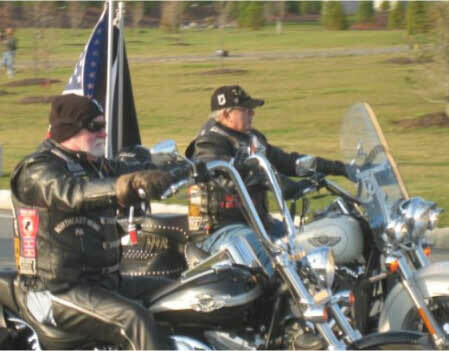 This tribute to American Veterans, and especially VietNam Veterans, was an absolutely huge event! The outside areas were full of displays of military vehicles and apparatus from all eras. Inside the entire casino was decorated…but the main lobby was the most impressive! Flags and banners of all branches of the military, and all Veterans’ Support groups, hung from the balcony. A stage on one side had USO type of shows going on. The other side…the Fallen Hero display, and the POW-MIA table. 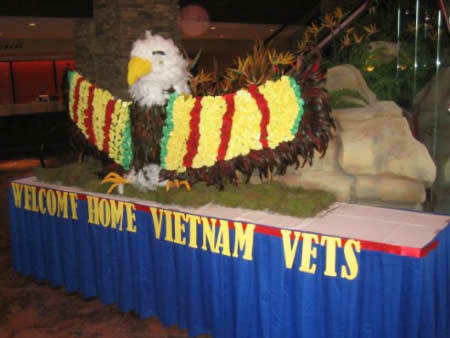 Directly in front, a giant eagle, made up of flowers, in the colors representing the Vietnam War. Several rooms were filled with tables and displays, and I can’t begin to name them all. WWR/Friends of the Forgotten Events Coordinator Kim Atkinson had set up a wonderful display, much of it dedicated to Fallen Vietnam Nurse Carol Drazba, one of the first two nurses to die in the war, who we will be honoring on Wreath-Laying Day. 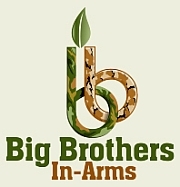 Thousands of people, and thousands of Veterans were in attendance, with Veterans proudly wearing the patches of jackets of their organizations. Old friends from the same unit were meeting each other again fir the first time. The stories…never-ending! Outside again, motorcycle began to gather during the day, for the big event…a parade into the casino area from another location. At 3:30 PM, motorcycles departed for this staging area. In about 45 minutes, we heard the sirens, and turned to see a fire truck leading a slow procession…immediately behind the fire truck were WWR/ Friends of the Forgotten Northeast Wing Road Captain George Atkinson, alongside of FotF Road Captain Don Knight, with full flags flying, leading a procession of hundred of motorcycles, interspersed with military vehicles, and busloads of Veterans. A cannon was fired across the lake. A pipe and drum corps performed. Speeches were made. Plaques were handed out to all groups represented. The final event of the evening was a concert by country artist Aaron Tippin, singer/writer of “Where the Stars and Stripes and Eagle Fly”. This is a weekend-long event, still going on on Sunday, November 9! The impact this event has made on Northeast PA, and the entire country, since it was nationally recognized and reported, in indescribable. To honor our Veterans, and especially those who were often treated with disrespect…a long time coming! 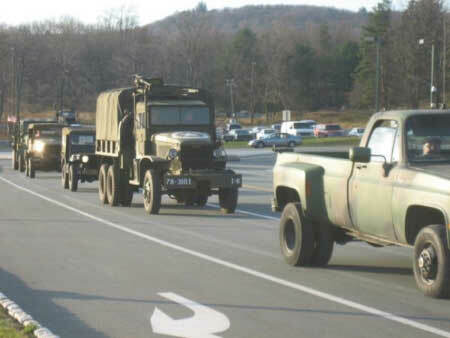 1 user commented in " NEPA: Salute to Veterans,11/8/09 Mt. Airy Lodge and Casino "
This was the most heartfelt and Honorable event ever put on in NE Pa to honor our Vietnam Vets you could have ever imagined. Mount Airy’s George Toth and Sharon Kopin went above and beyond to “Welcome Home” our Vets and show them the compassion & appreciation that they so very well deserved. This was the first year and I cant imagine how it could ever get bigger & better in Years to come. Thank you and Cudos to all at Mount Airy- God Bless the greatest Nation on earth- the USA!